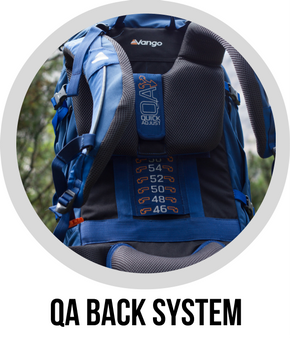 Vango rucksacks have a ton of great features, making your Adventures more comfortable! 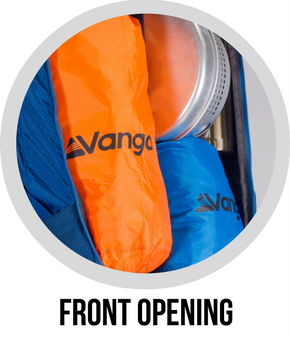 Here is some of the key features in Vango Rucksack Collection!. Please note, not all models include all features, please check individual model specification. 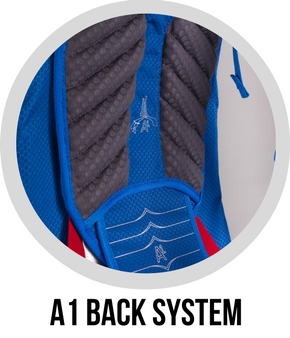 An evolution of our Self Adjust back system. 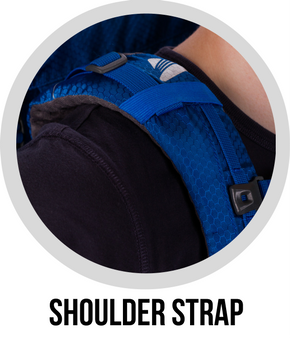 Built around two body contoured alloy bars, the shoulder harness can be adjusted with one hand to fit almost any back length perfectly, whilst still wearing the pack. 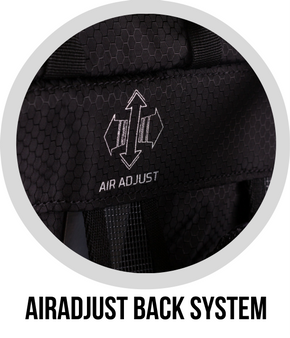 AirAdjust vented back system allows the user to adjust the harness to fit. 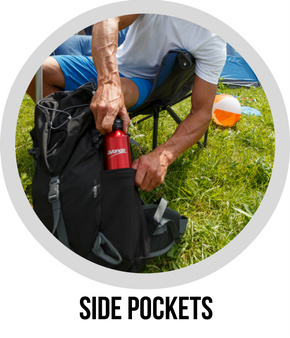 The concave frame positions the pack away from the user to allow warm air to escape. 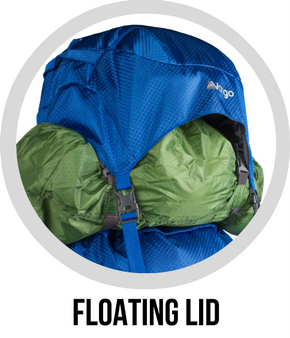 Minimises the curvature inside the pack, while retaining maximum ventilation. 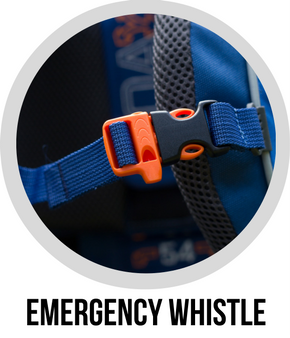 Provides a secure fit with an easy to reach whistle for safety. 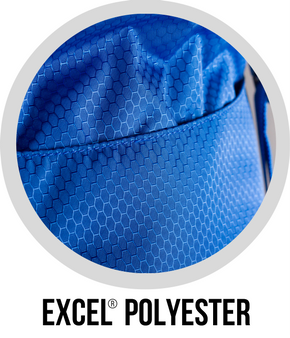 Excel® 420D Honeycomb Polyester offers a great strength to weight ratio. 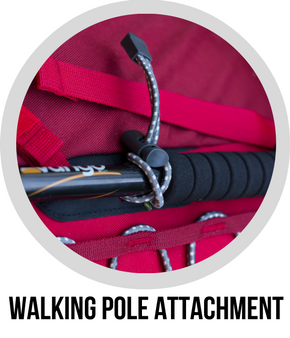 Expand capacity when carrying larger loads. Rapid access to gear on the access. Store Items for quick access. Coupling a contoured alloy frame for load distribution with a webbing ladder arrangement for back length adjustment. The Quick Adjust system offers uncomplicated adjustment, comfort and durability. Indicates correctly adjusted rucksack harness. 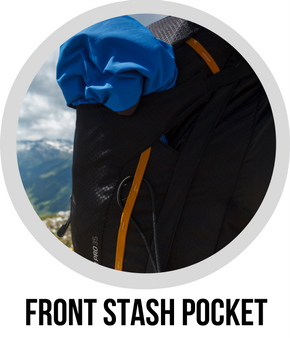 Allows quick access to compact items whilst trekking. 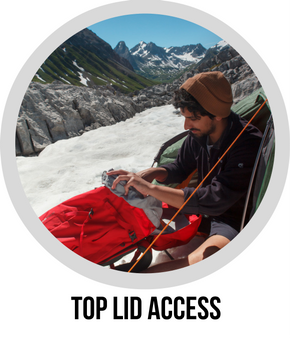 Top lid access with extendable gaiter and buckle closure. 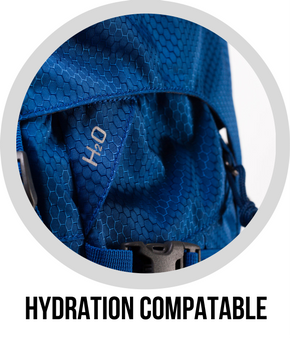 Provides secure pack closure. 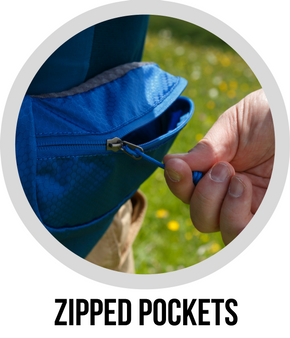 Ergonomic hip belt with zipped pockets, shaped for comfort with quick, convenient storage of small items.